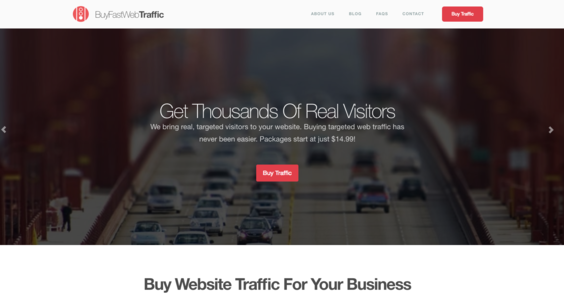 BuyFastWebTraffic.com — Website Sold on Flippa: Turnkey Web Traffic Advertising Empire! Profiting $30k/Year and Ready to Scale! Turnkey Web Traffic Advertising Empire! Profiting $30k/Year and Ready to Scale! Organically ranked in the top of Page 1 for terms Buy Traffic, Buy Web Traffic, and more. Sit back and let Google bring in sales. Automated business model includes a knowledgeable virtual assistant.